We collaborated with award winning fashion designer Christine Phung, creative director of the house Léonardsince 2016. Directly inspired by the digital arts, she creates a wardrobe between strict elegance and luxury sportwear. Christine Phung and Lucas de Staël have united their talents to conceive a unique spectacle. 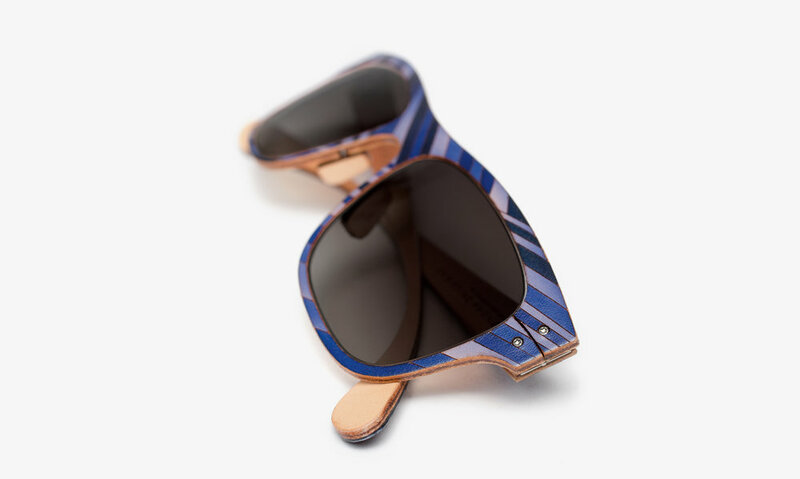 Those sunglasses combine both of their creative universe linking an emblematic geometric pattern with the use of high end skins like iguana and genuine cow leather. Based on Christine’s graphical researches, the Norvegian cow leather and iguana are cut and pasted together in order to create a dynamic pattern on the external part of the spectacle. 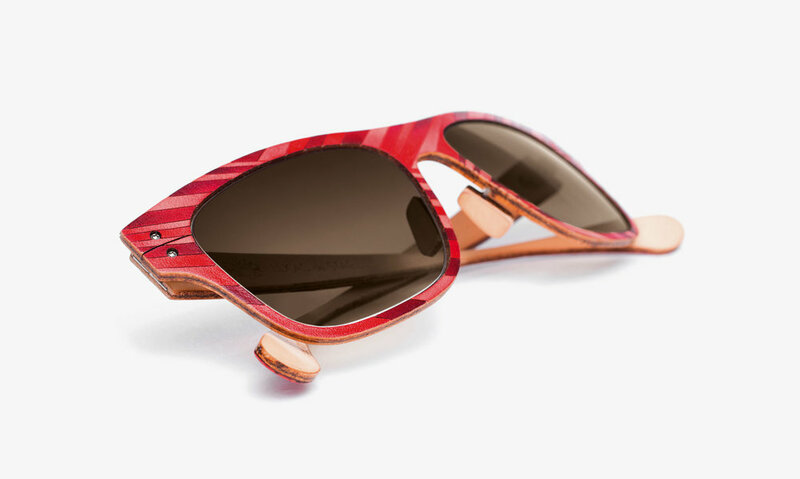 The cow leather frames will gain patina over time, the frames will be impacted by skin oil and acidity as well as UV’s; you can expect the frame to get darker over time.